Draped along the greatest heights of the Himalayas, the scenery of Nepal is simply stunning. The world’s highest mountain ranges plunge into lush valleys teeming with exotic wildlife and throughout, remote monasteries and villages adorn the landscape. 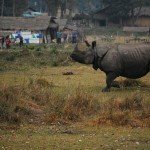 Here, you’ll find over 800 species of birds, bears, monkeys, and even royal Bengal tigers. The human population is no less fascinating and comprises a mix of Hindu and Buddhist cultures, where ancient traditions and nomadic lifestyles bring colour to modern life. This region is home to both Lord Buddha and the Dalai Lama. It is a land of yaks and yetis, stupas and Sherpas and where jungles team with exotic wildlife and some of the best hiking trails in the world. You will see majestic temples, shrines and sculptures wherever they tread; all testament to a thriving spirituality. 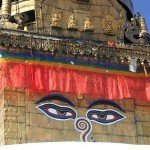 Medical volunteering in Nepal is a unique experience. 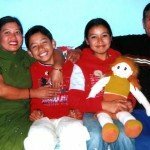 You may be assisting in one of the hospitals in the Kathmandu Valley, join a remote health camp, performing health checks on children at local schools and disabled centre as well as teaching health and hygiene. Kathmandu’s narrow streets and lanes with carved wooden balconies above tiny hole-in-the-wall shops, plus town squares packed with temples and monuments and markets bright with fruit and vegetables and the people – make for a sensory overload. 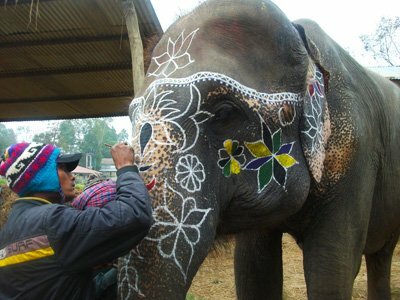 The many Nepali festivals are fascinating and often epic occasions which are not to be missed. All Volunteers must submit a Working with Children Check or a police clearance report and we can provide details on how to arrange this. We have medical placements at hospitals, clinics and specialist centres in and around the Kathmandu Valley where you can be involved in a field of operations relevant to your experience and expertise. There are five hospitals (including an orthopaedics), two government health posts and a clinic for women and children. Volunteers will experience a dramatic contrast between Western medical practice and medicine in developing countries where there are limited resources (we will provide a list of recommend items to take with you in your medical kit). Please be ready to show initiative and readiness to work in unfamiliar conditions. Doctors, nurses, students and specialists are all welcome and the various medical departments include: Accident & Emergency, Anaesthesia, Dentistry, Dermatology, ENT, Family Planning, General Medicine, Surgery, Gynaecology, Haematology, Internal Diseases, Antenatal, Maternity, Obstetrics, Microbiology, Neurology, Oncology, Ophthalmology, Orthopaedics, Paediatrics, Pathology, Radiology, Vaccinations, and X-ray. Physiotherapists are made very welcome. You will assist local staff to treat patients including diagnosing medical conditions and planning/providing treatment, organising preventative medical programs for individual patients and providing advice on medical care. You may also participate in outreach projects in local disadvantaged communities and schools. You will work alongside trained professionals who will want to share ideas and you will experience diseases, medical conditions and treatments that may be uncommon at home. You may also wish to use your knowledge and training to help local staff by delivering lectures and workshops in your area of expertise. As well as the opportunity to get involved (and/or observe) a wide variety of treatments and surgical procedures, volunteers may provide much-needed support and vital care to patients, or you may be involved in raising awareness about avoiding preventable diseases. Lesser experienced medical staff may be involved in basic healthcare activities such as observations, shadowing medical staff, taking histories, administering prescriptions and diagnosis of ailments. However, please note that your level of involvement will depend on the needs of the hospital or clinic at the time of your visit. You may also have the opportunity to get involved with community outreach programs such as medical camps, health education or community visits, or shadowing the in-house nurse at a local orphanage. It is important to be flexible and approach the placement with an open mind and the commitment to help in any way. Remote health clinics in Nepal struggle to attract qualified doctors and medically trained personnel and generally have insufficient equipment and medicine. Volunteers working at village health clinics will assist local health staff in performing day to day tasks such as dressing wounds, administering vaccinations, drawing blood, screening and organizing patients, collecting medicines and generally helping in whatever capacity they are required. There is also the opportunity to conduct seminars to motivate and educate staff and villagers on health initiatives. Medical volunteers are expected to wear a white coat (we can also lend you one) and please take a copy of your CV, qualifications and certification to show the staff in Nepal. Although primary education is free, government schools are often inadequate and overcrowded. 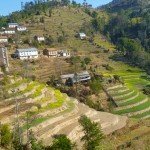 Due to the lack of financial and physical resources and the remote mountain terrain of the country, more than 80% of the children from Nepal’s villages and cities are unable to access a good educational system. Many schools in remote areas are very basic and sometimes unsafe. Often these schools have no blackboard and very little furniture. In rural areas, students usually walk several miles to go to school. The inability of students to attend school is affected by many factors, including poor weather, overcrowded classrooms and family situations that keep older children at home to work or to care for younger siblings. Furthermore, the heavy rains of the monsoon season cause many problems for schools. The rains make it difficult for children to walk long distances to school and may cause flooding that damages the entire school. You can give hope to marginalised children, helping to build their confidence while teaching them useful skills. You’ll dance, sing, and play games with children as well as helping out in any way that you can in the community. Whilst on your placement, you will teach English and other subjects of your choice to children in a village school. Volunteers can also assist with creating low-cost teaching materials for the school and help organize health check-ups for students. Many volunteers teach English in the mornings and then arrange sports, drama and song in the afternoon. Though their lives have been harsh, they are extremely friendly and will be interested in learning all about who you are and where you come from. Once in Nepal you can discuss your particular skills and interests with the in-country staff and confirm your schedule. Volunteers do not need to be a qualified or experienced teacher. We will provide some ideas and tips for the classroom! Volunteers may spend some time at a local school for deaf children where they will assist children develop their life skills. Specific roles vary depending on the requirements at the time of the placement. However examples of work include; helping teach the children and assisting with tuition of general life skills through participating in administrative chores, health education, medical check-ups, games, and by drawing and painting with the children. 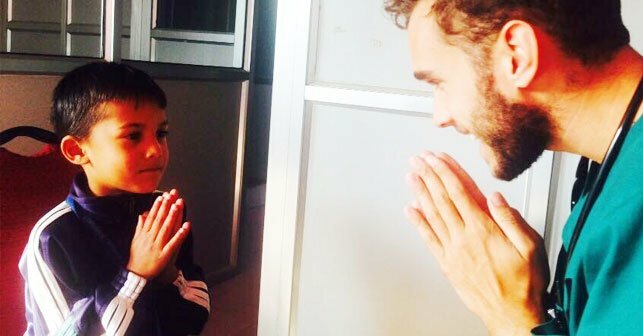 The children will welcome you and are extremely grateful to see volunteers who are willing to spend time with them. 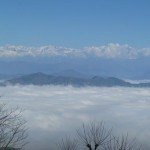 Our friendly team in Nepal will meet you at Kathmandu Airport and take you to your homestay accommodation. They will make you feel very welcome and will help you settle in with some orientation and sightseeing in the local area. On your first day of work they will take you to the hospital or clinic where you will be working and will introduce you to the local staff and your supervisor. On the weekends, volunteers have spare time to relax or explore other parts of the local town and Nepal. 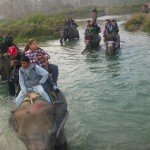 Long weekends can be taken to travel further afield and enjoy some trekking, jungle safaris in Chitwan, visits to temples or the beautiful town of Pokhara. If you prefer to volunteer over the weekends you can visit other orphanages to spend time entertaining the children. Volunteers are placed in a home stay accommodation however you have the option to upgrade to private hotel accommodation if your prefer (for an additional cost). Living conditions are not luxurious and will vary although the large majority of home stays do have electricity and running water. Host families are educated, speak English and are experienced in hosting international volunteers. Meals are traditional Nepali fare. Nepalese food is often said to have spiritual as well as nutritional attributes and the cuisine will nourish the body and soul! Your hosts are wonderful cooks and you will enjoy the experience of sharing delicious home-cooked meals with your local family. Your hosts provide three meals a day. Tea or coffee, bread, vegetables and eggs are served for breakfast with main meals consisting of rice, lentil soup and seasonal, locally produced vegetables. Chicken or fish may be served occasionally. Oct – Nov = Dry Season starts – and is a good time. The monsoons have finished. Feb – Apr = Is pleasant, with warm weather and native flowers blooming. May – Jun = Is usually hot. Jun – Sep = Monsoon season – the end of September is also a great time to see Nepal. Dec – Jan = The weather can be chilly. Other durations are available. All costs quoted are subject to change by the tour operators, volunteer organisations and currency adjustments prior to final payment. Weekend visit to Chitwan National Park including meals, transport, accommodation and activities in the Park. Contact STA Travel if you would like assistance with your flights, optional tours or travel insurance. STA Travel provides special offers and benefits for volunteers and therefore please call direct: Email: doctours.au@statravel.com Phone: 1300 675 435 Thai Airways have competitive airfares on the internet and you may wish to compare with Malaysian and Cathay Pacific. Volunteers are required to submit a recent Working with Children Check or a police report – we can advise on how to arrange this. Your medical voluntary work may be eligible for CPD points as a Supervised Clinical Attachment from the RACGP (or your relevant college). We will send you a copy of the guiding information with your travel documents. We recommend that doctors advise their professional indemnity provider of their medical volunteering in Nepal in advance of travel. Processing of your Application can be initiated once we have received your deposit of $495.00 per person with your completed Application Form and CV. FINAL PAYMENT is due two months prior to departure or on receipt of invoice if travelling in less than two months. Apologies but payments by Visa and Master Card will incur a 1.5% fee and American Express 3.0%. Passports must be valid for 6 months AFTER you return home. A Tourist Visa is required for all tourists travelling to Nepal and most nationalities are currently able to apply for a visa on arrival at Kathmandu airport (currently US$25 for 15 days, US$40 for 30 days and US$100 for 90 days). Please take 2 passport sized photos with you and a black pen). It is a condition of your travel arrangements that you have current travel insurance to cover against cancellation fees, medical expenses, lost luggage and evacuation. Please refer to our Terms & Conditions. Deposits are non-refundable once your arrangements have been confirmed. Please note that all costs are subject to change due to airline increases, taxes, hotel and volunteer price increases, as well as currency adjustments.